In an interview with the magazine, she said: “Life was brilliant until my dad got ill.
“He was given six months to live but ended up living for six years. He was an awesome man. Him and my mum absolutely idolised each other. “When you live that life, you feel invisible. You feel like a ghost in society. If someone in the street falls over, people rush over to help, but there you are on the street corner with no food in your belly, nowhere to live, no clean clothes and people walk past you like you are not there,” she said. On her escape from the streets into a firefighting career, Ms Cohen-Hatton said: “I really wanted to join the fire service. Even when I was still homeless, this was what I was aspiring to. 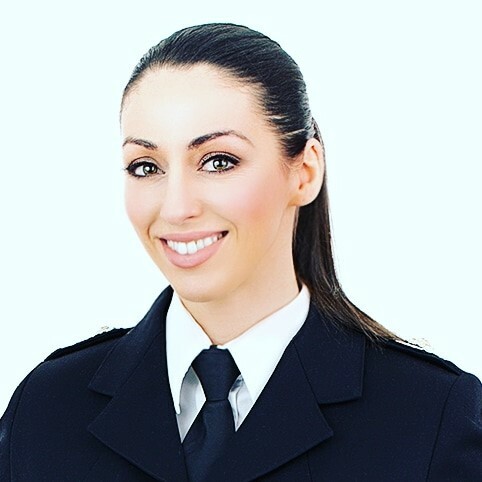 Ms Cohen-Hatton has been a firefighter for 18 years and is currently deputy assistant commissioner of Surrey fire brigade. She studied psychology and has written a book on life-and-death decision-making called Heat Of The Moment. The Big Issue, featuring Sabrina on the cover, is available to buy from April 15.